Despite having one of the highest payrolls in baseball, the New York Yankees can’t seem to buy any good news on the injury front. On the same day catcher Gary Sanchez was sent for a short stint on the Injured List, the club announced that reliever Dellin Betances is even further away from returning than first thought. The Yankees announced Friday that they are shutting down Betances for another three weeks. Yankees GM Brian Cashman estimates at least six or seven more weeks until he’s ready to pitch in a major league game. 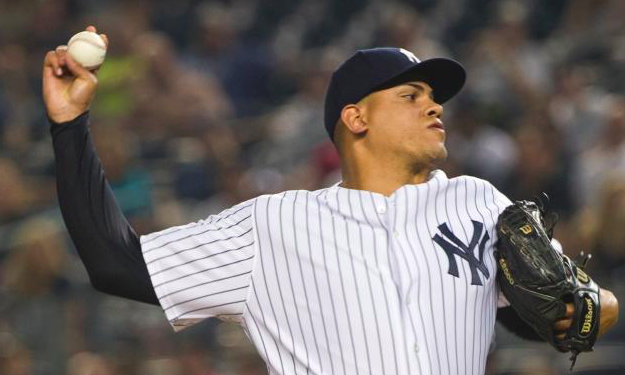 The 31-year-old Betances began the season on the IL because of a shoulder impingement. His velocity was down early in spring training, which pointed to something being physically wrong. The team hoped he would be set to return before the end of April. But continued discomfort in the shoulder necessitated an MRI that revealed a bone spur in Betances’ right shoulder. The bone spur is actually a pre-existing condition the Yankees knew about when they drafted Betances in 2006. However, it hasn’t caused any problems until now. Betances is set to receive a cortisone shot on Saturday. Cashman is confident that the treatment will be effective and put Betances on the path toward returning to the mound. Heading into the season, most assumed the Yankees would have one of the best bullpens in baseball. Betances was expected to be a big part of that. However, the New York bullpen has been average at best early in the season. Key setup men like Zack Britton, Chad Green, Jonathan Holder, and Tommy Kahnle have all had their troubles thus far. Having Betances healthy and pitching anywhere close to his best would surely give the Yankees a huge boost. The timeline put forth by Cashman means Betances won’t be ready to return until late May or early June. By that point, he’ll have missed the first two months of the season. That’s a long time for the Yankees to be without arguably their second-best reliever behind closer Aroldis Chapman. The good news is that the Yankees are optimistic the shoulder problems will subside and Betances will be back in six or seven weeks. Until then, the club will have to find a way to get their bullpen back on track without him.